Looking for accommodation in Dartmouth? Capritia Guesthouse B&B offers several lovely rooms – with linen, large soft towels, toiletries and a hospitality tray all provided. There is also a self-catering option right on the river Dart if you’d prefer a bit more independence. Both are conveniently located just two minutes walk from all the bars, restaurants, shops, waterfront and gardens in the centre of Dartmouth. 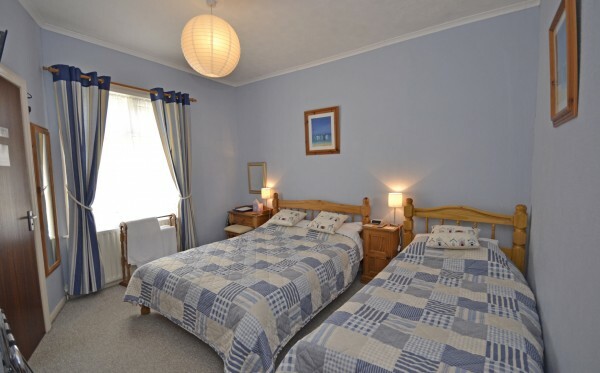 If you want explore further afield, Torquay, Brixham, Paignton, Dartmoor, Plymouth and Exeter are all a relatively short drive away; Capritia is in an ideal location for exploring South Devon and beyond. There’s a regular bus service too and many beautiful excursions are available by boat and steam train. 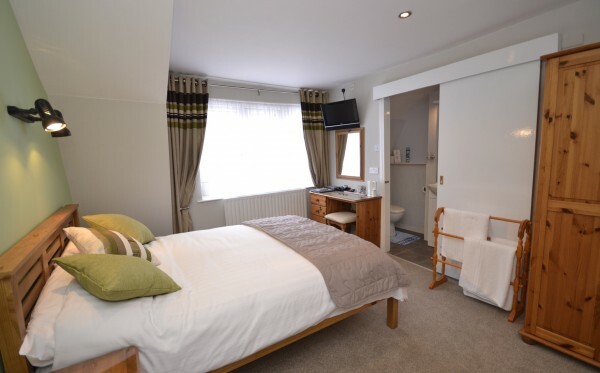 This spacious top floor double room has en-suite facilities and connecting lounge, overlooks the bowling green and park. 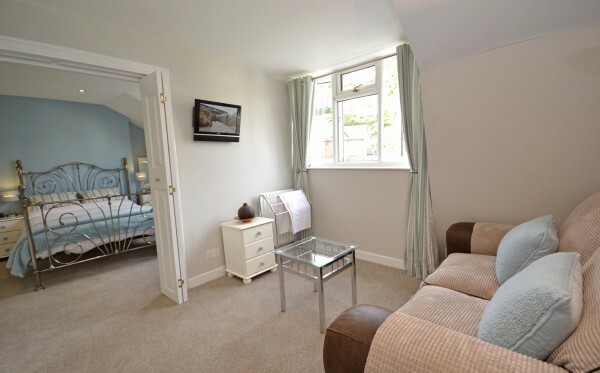 This spacious en-suite room is available as a twin or family room and benefits from a quiet position. This top floor double en-suite room has plenty of storage and benefits from a quiet position at the rear of the property.